- The Simple Two Step Recipe We All Want! 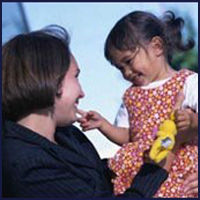 How to Respect Your Child without Compromising Yourself! 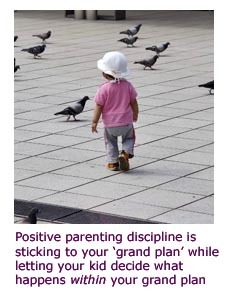 Positive parenting discipline is easy (no kidding, this parenting style is really simple). The results are fantastic and every parent's dream: conscious and happy children blooming with self esteem. And now for the best part, hang on tight: everybody can do it! Yes, everybody! You, too. 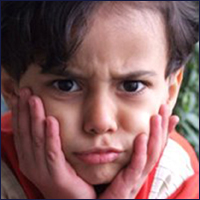 Okay, you may ask, if positive child discipline is so easy, why don't we do it more? Why doesn't everybody do it then? And why do we so often find ourselves at a loss as to what to do? Well one of the reasons is that cultural norms and other fixed mental ideas in our heads are powerful - it's really convincing stuff. It's so tempting when things run high to just 'overpower' our child because it's easy, we parents are right and our child is ... well, just a child that should obey ... rather than a real person entitled to respect. Positive parenting is also about respect! Making real win-win situations or happy, respectful agreements is what positive parenting is about. We all know these kinds of situations when we feel that no matter what choice we make, either me or my child is going to end up feeling compromised and unhappy. ... or should I spend an extra 15-20 minutes talking him into an agreement where we read a story first and then go (which will result in me being late and having to deal with my boss)? Most of us are probably most likely to choose the first option. This type of parenting discipline is fast ... over quickly ... our parents probably did it that way - and the grand plan is still in intact: I get to go to work on time. However, my child feels overpowered and compromised. The second option is not practised so often, because we adults like to stick to what we consider the important grand plan. (A grand plan is what as an adult you consider important - like going to work on time, making your child go to bed at a decent hour, child tooth brushing, eating healthily etc. - which may have unfortunate (long-term) consequences if you don't stick to it - such as being fired, being tired, your child gets holes in his or her teeth, an unhealthy body etc.). So it's understandable, of course, that sometimes we feel we have to force our grand plan through; if we don't go to work on time, we'll get in trouble, perhaps even end up without a job - and then, how are we going to feed our children? Give Yourself 'Distant' Satisfaction, While Giving Your Child Instant Satisfaction! Give yourself what is most important to you at that moment: sticking to the grand plan. ... without compromising our child. After that we put our brain away to be totally present with our child (when we have the optimal grand plan, we don't need our brain). So the parental challenge is making room for your child within your grand plan (in the above example - getting to work on time). So use your brain power to come up with different scenarios: for instance, waking up half an hour earlier in the morning or perhaps changing the current morning rituals in a way that provides more time for the 'leaving rituals'. And then choose the one which fits you and your child the best. That is what I personally do each time I feel my grand plan is at risk. That doesn't mean it is always easy, but the result is so much better than forcing my will upon my child. I look upon it as a way to let my brain be creative. And in the idea generating process no idea is too crazy or 'wrong' (unless it hurts my child, of course). So if my child insists on standing on the sofa with his shoes on, I put a towel to cover the sofa and he gets to stand up there while I put his jacket on him - end of story, he gets attention and power to decide and I get to go to work). Not reacting to what I call 'old parenting style urges'! Arrgh ... They Itch, Those Old Parenting Style 'Urges'! An old parenting style 'urge' is an automatic, almost instinctive reaction of forcing my will upon my child because it seems like the easiest and fastest solution. Not blindly following those itchy 'urges' is really challenging because they are very, very powerful and often unconscious. Most of the time, we don't even realize that they are there: that things could be handled in another way. When we realize "... umph, that's an itchy urge ..." we need to stop and re-set our mind-set. Rethink our parenting style. You will se what I mean in a bit. In other words, not following old habits and values that seem, on the surface, to get things done ... but in the meantime strip our child of power and self esteem ... is hard work! It's tough because from our parents, from society, from friends etc. we have learnt so much about child discipline and how raising a healthy and well mannered (but not necessary happy and conscious) child should be done. We have been told constantly, with a raised index finger, which is the 'correct' way to bring up our kids. If we blindly follow the rules and norms that have lodged themselves firmly in our heads - we will often miss the opportunities presented in the 'now'. We humans are extraordinary but we can't force our child (children) to follow our will while at the same time being present and listening to his or her needs. It's an ambition almost surely bound to fail. Separate head and presence, don't mix them. 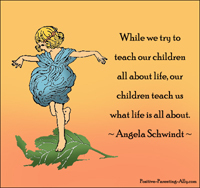 Then put your head aside and be present with your child. So, what I do when I feel an itchy urge ... I stop ... I crash and reset my parenting computer ... I create a new way to follow my grand plan ... I am present with my child. 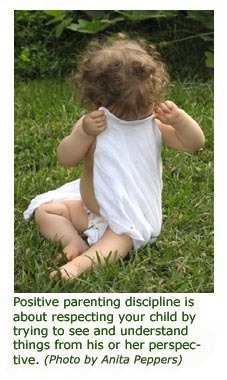 So to conclude, positive child discipline (respect, presence etc.) is not the difficult part in itself, no. 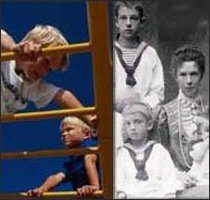 The de-programming of old systems and habits is - for instance, not forcing your way through and compromising your child. But once you pay attention to yourself and stop those old and strong, itchy urges to go on 'old parenting style autopilot', the rest is a piece of cake. 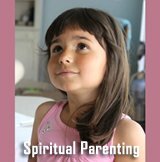 The Ultimate Positive Parenting Recipe: See the 5 Powerful Ingredients for Empowering Kids to Lead Happy and Conscious Lives! 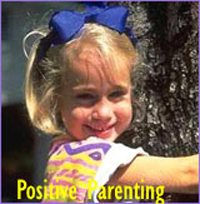 Positive Psychology Theory and Parenting: A Happiness Psychology Dedicated to What Actually Works and Makes Us Happy! 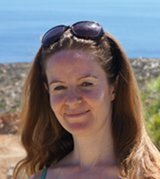 The Power of Conscious Parenting: You're a Mirror: What You Give Is What You Get! 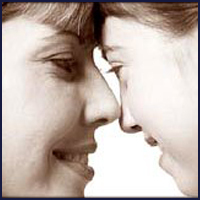 Quotes on Discipline High-Level Parenting Insights About Loving Unconditionally Beyond Discipline! 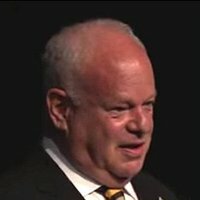 Sit Back for a Fascinating Journey into the Psychology of Children - From the Grand Masters' Fixation with Development Stages to the Context Focus of Today! Back to the top of this page about Positive Parenting Discipline - The Simple Two Step Recipe We All Want!